Until the 1990s, the wireless cellular phone was a luxury, but since the late 1990s, it has outsold most other electronic gadgets. It seems like everyone, these days, has a cell phone! 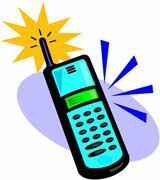 The cell phone has become an important business tool, a family convenience, and a means to seek help in emergencies. Considering the sleek styling, colors, and accessories available, it has even become a fashion statement! Basically, a wireless cell phone is a low-power radio transmitter-receiver (using different transmission and reception frequencies), plus a tiny microphone that converts sounds into electrical signals, and a small speaker that does the reverse. A low-power liquid crystal display (LCD) displays a function menu with numbers, letters and symbols. A keypad is used to activate functions and enter phone numbers. Your wireless phone communicates with radio transmitter-receiver stations that are set up throughout the country. Each station, known as a cell, is linked to other cells via a computer network. That is how you can communicate with cell phones that are located near other cells. 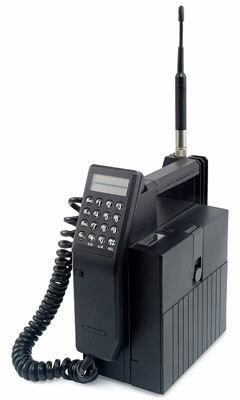 Wireless phones and the cellular telecommunications infrastructure have improved dramatically during the last decade. Rechargeable batteries are more efficient, electronics are more compact, and cellular towers are more widespread than ever before. Today's wireless phones are smart, lightweight devices that can help you communicate quickly and reliably. These wireless "smartphones" include microprocessors, software applications known as "apps", and Internet browser software. Early smartphones featured relatively small screens and simple browsers; for these phones, websites such as Linktags.mobi were developed, using the mobile phone domain name extension ".mobi". Modern smartphones, however, feature high-resolution displays and Internet browsers that are compatible with modern web page markup languages. There are many different wireless plan services in the United States, each of which use their own technology and have their own towers. Some operate using U.S. networks while others, better suited to overseas travelers, operate using the international standard GSM network. Wireless cell phone plans can be purchased monthly or on a pay-as-you-go basis. Monthly plans typically offer a certain amount of anytime minutes for a fee, plus incentives such as free nights and weekends. Depending on your circumstances, there are a variety of monthly plans available, from single user plans to family plans that allow for multiple phones and unlimited minutes between family members. Most plans allow you to choose one of several phones for free when you sign a long term phone service contract. Some of the more sophisticated plans have phones that allow for text messaging, email, access to the Internet, and the ability to locate children or other family members via a GPS device. Most of today's cell phones are equipped with built-in cameras, and many also include MP3 music players. Here on Wireless-Phones.us, you will find several convenient links to selected wireless network organizations, solution providers, and information resources. CTIA is an international wireless telecommunications industry organization that represents all sectors of wireless communications, from cellular and personal communications services to specialized mobile radio. GSM World is a global trade association of GSM mobile phone operators that strives to ensure that mobile phones and wireless services work around the world and are easily accessible. 4G Americas represents 3GPP wireless technology operators and manufacturers in the Americas. AT&T is a telecommunications company that features an extensive digital network. T-Mobile USA offers wireless plans, mobile phones, and handheld phones as well as personal digital assistants and wireless network cards. Verizon Wireless operates a wireless network and serves an extensive base of voice and data customers. While cellular phones are the most common form of wireless telecommunications, wireless plans are also available for beepers, pagers, and messaging systems, as well as satellite phones. Wireless satellite phones use low-earth-orbit (LEO) satellites to enable airborne, shipboard, and remote area communications. For your convenience, selected links will open in new windows.